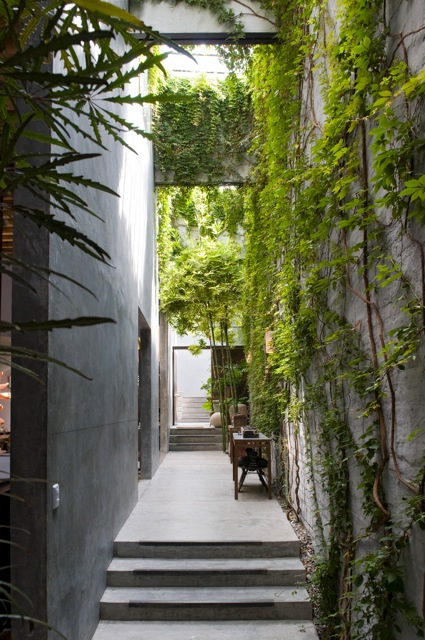 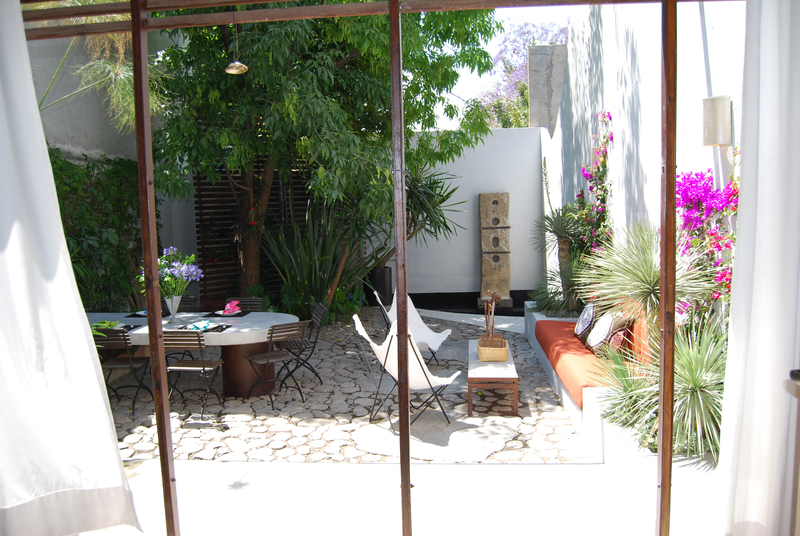 Enter from the cobblestone street through a simple white-washed wall into Casa Gooden and get ready for the WOW factor. 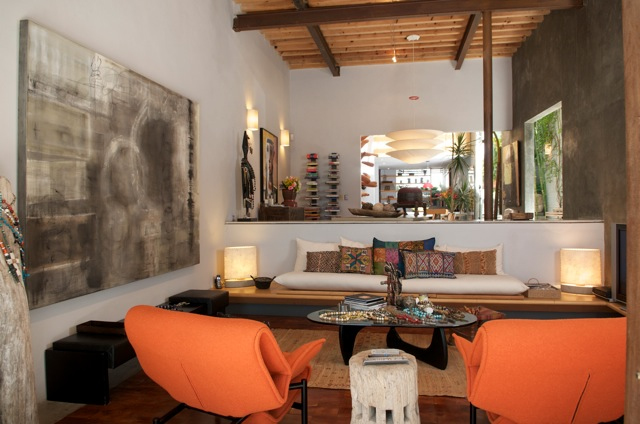 Enter from the cobblestone street through a simple white-washed wall into Casa Gooden and get ready for the WOW factor. 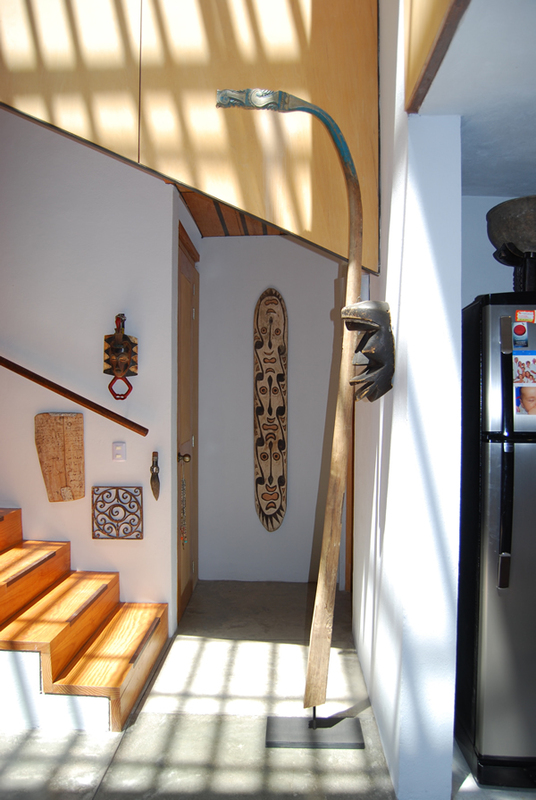 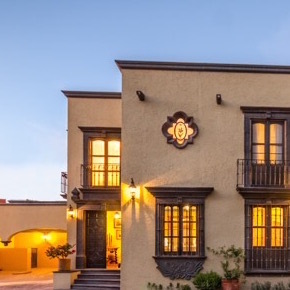 As you step down stairs from the foyer, you will be enveloped into an amazingly peaceful, contemporary oasis, the ultimate in San Miguel style and indoor/outdoor living. 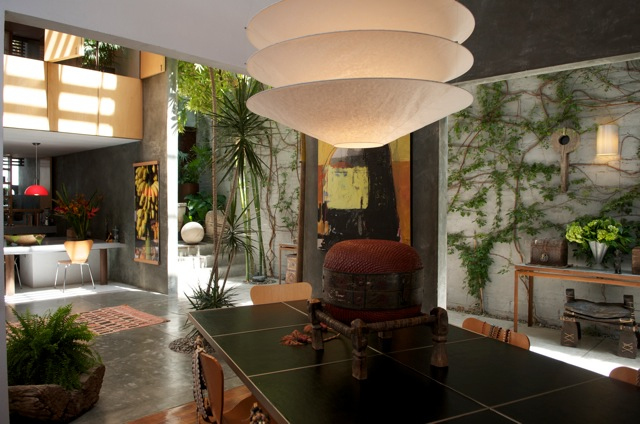 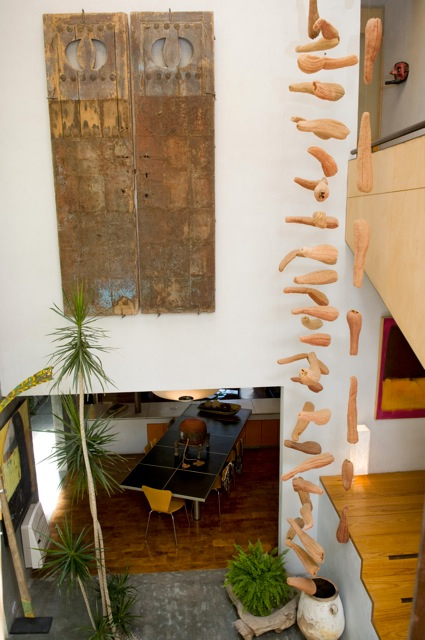 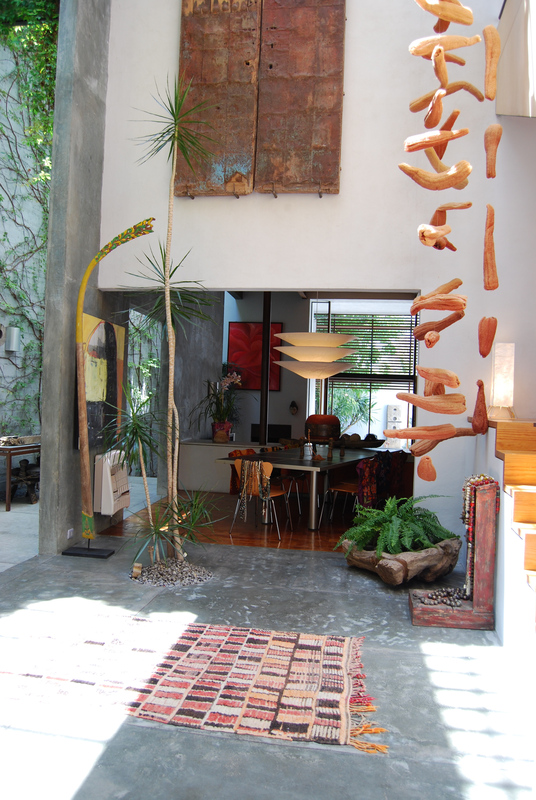 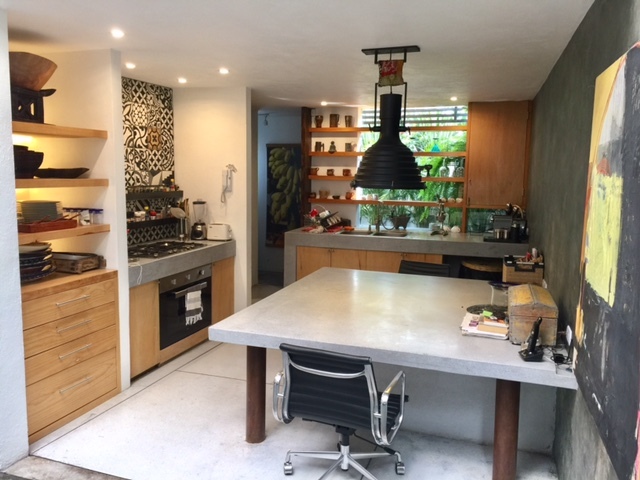 This intriguing modern home, designed by famed Mexican architect Luis Sanchez Renero, is full of light and unusual angles. 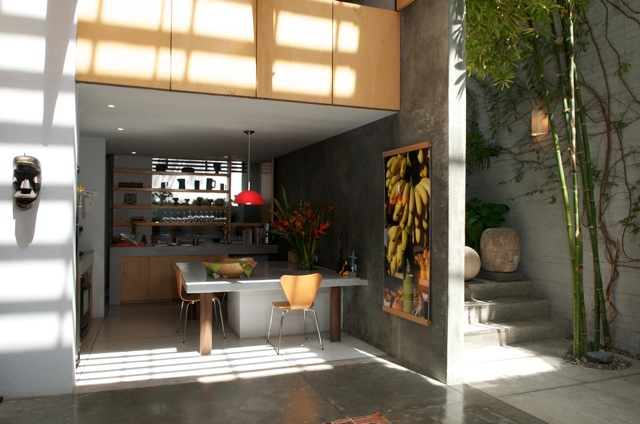 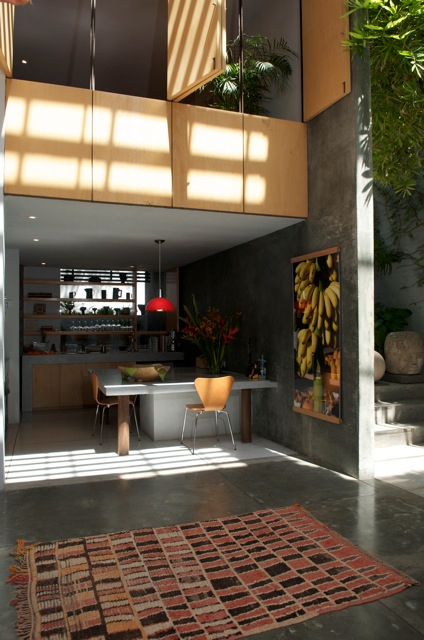 The glass ceiling allows sunlight into all corners of the home and creates an illusion of living in a greenhouse. 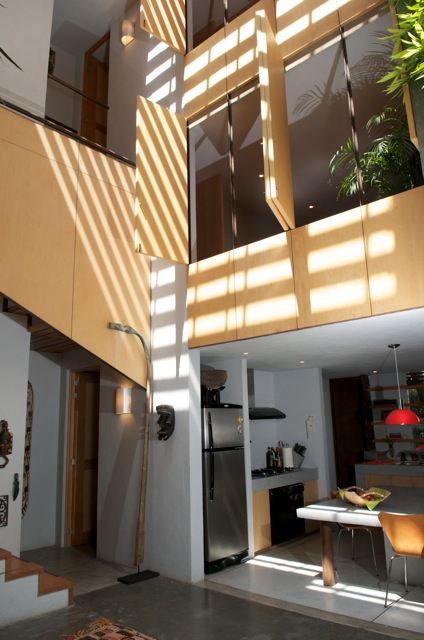 Open walls and slated windows bring in good air circulation and keep the house cool most of the year. 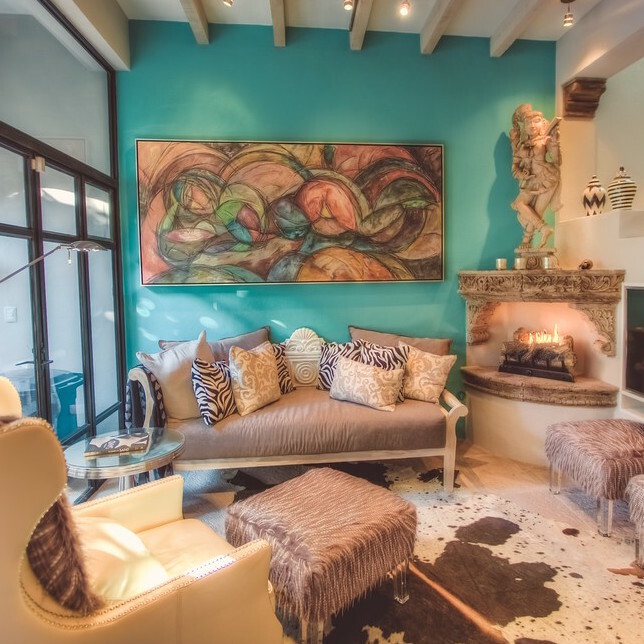 Fireplaces provide ambience as well as warmth on winter evenings. 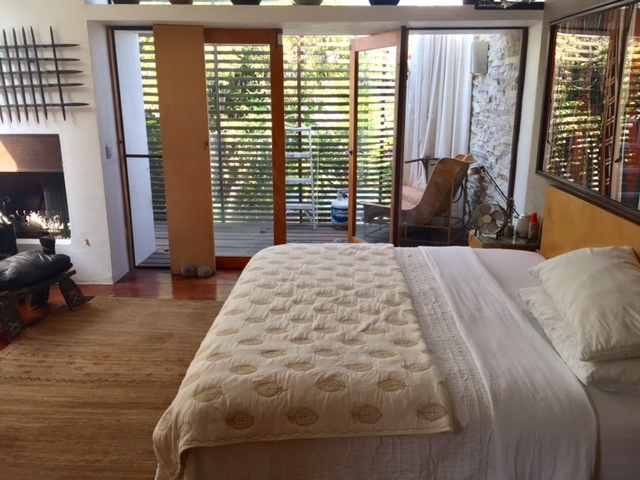 With three master suites, each with king bed and its own bathroom, Casa Gooden is perfect for 2-3 couples traveling together. 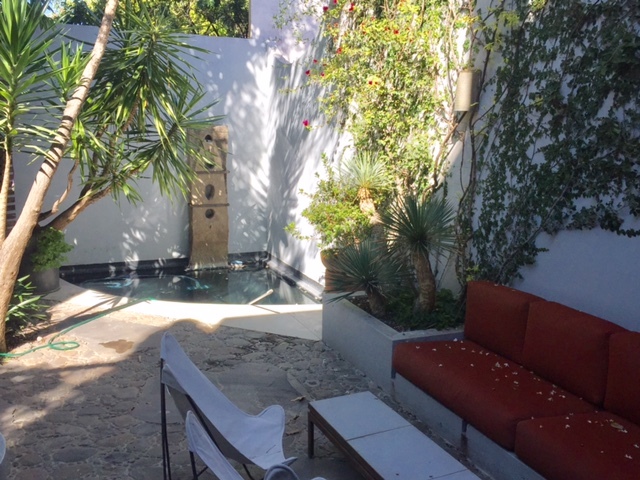 The owners have provided all amenities, including robes in each guest room and a Vonage line for free calls to the U.S. and Canada. 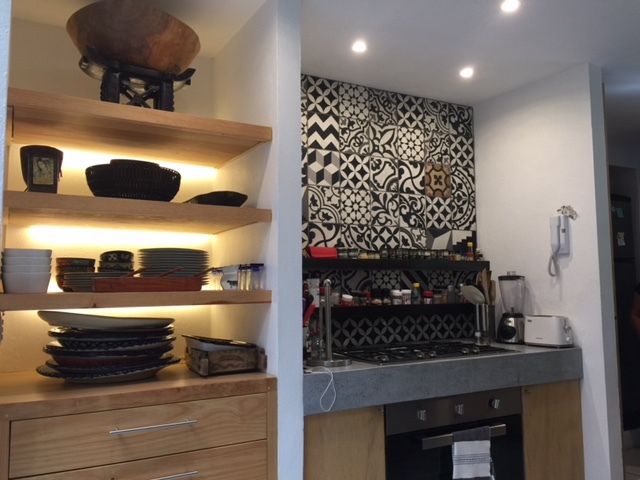 There is wi/fi Internet connection throughout the house, plus a large flatscreen TV in the living room. 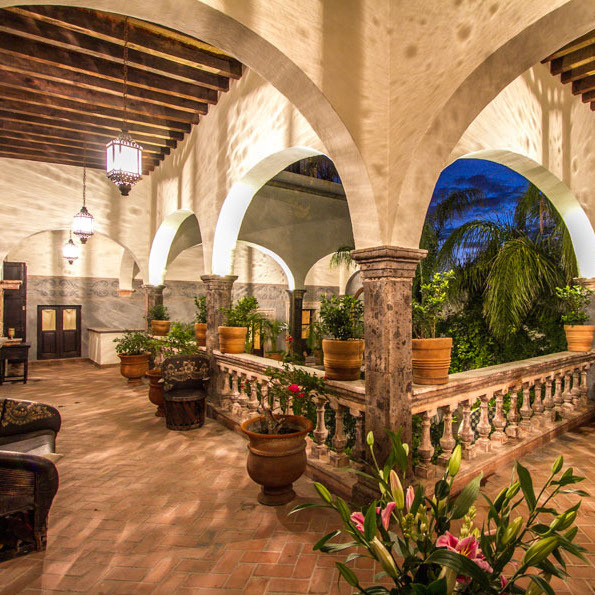 The main floor of the house is one open space for kitchen, atrium patio, dining room and living room, opening out to the lower garden patio with its soothing waterwall fountain. 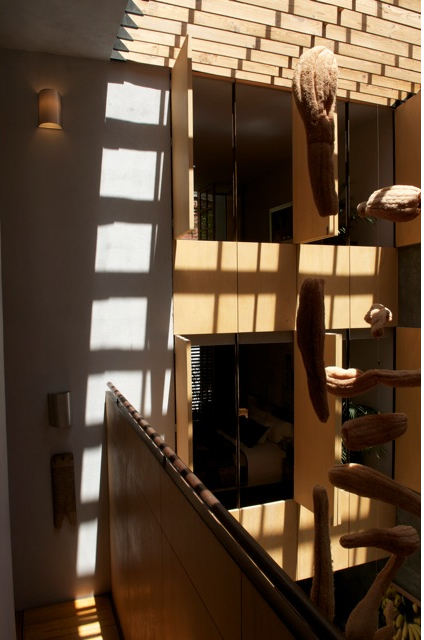 A wooden staircase in the central atrium patio leads to the bedrooms, staggered on two levels. 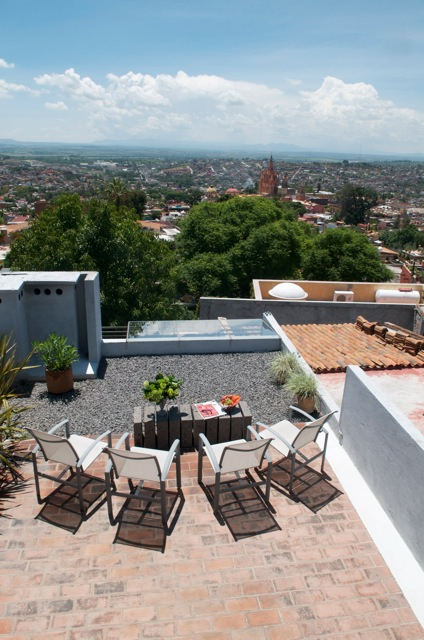 A spiral staircase leads from the upper bedroom level to the roof terrace, a perfect spot for watching the sunset spread across town and countryside. 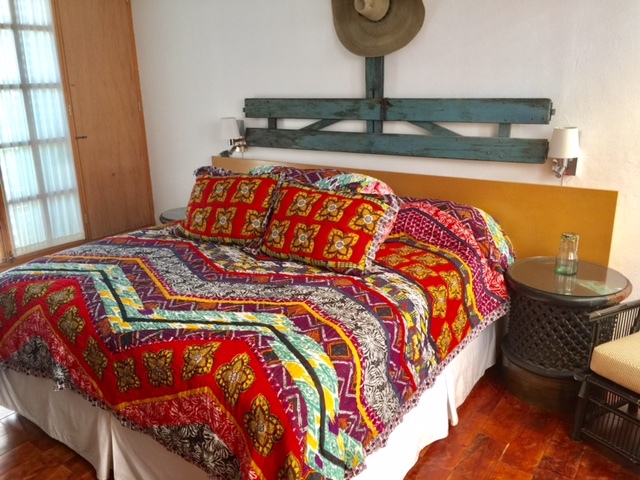 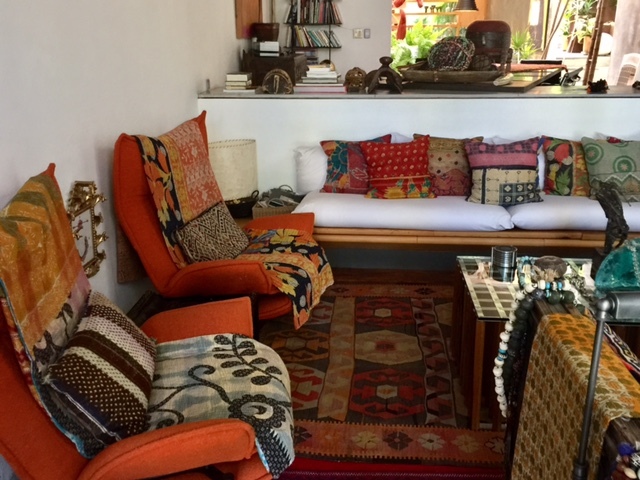 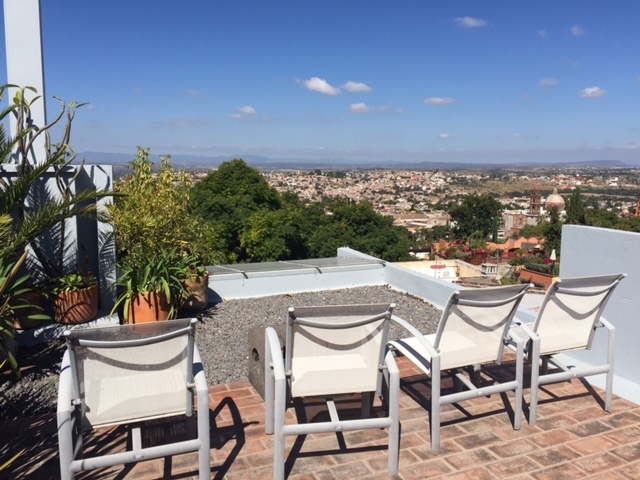 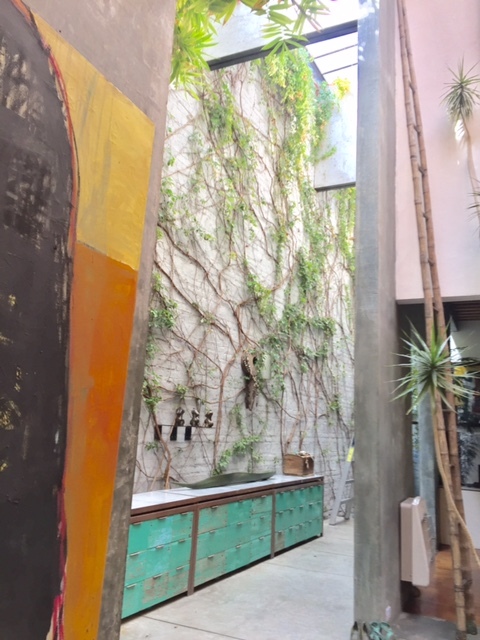 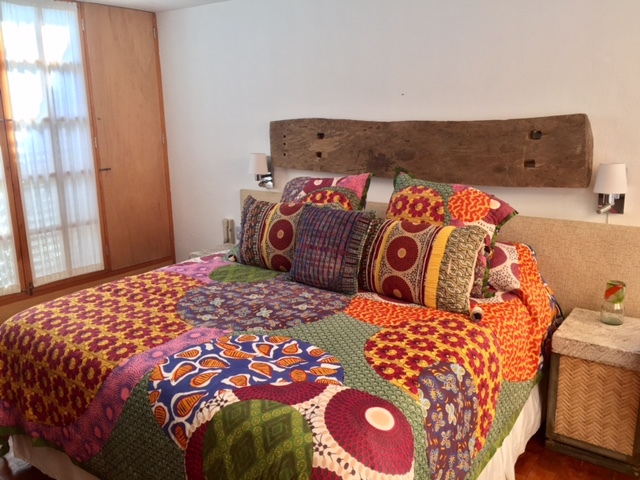 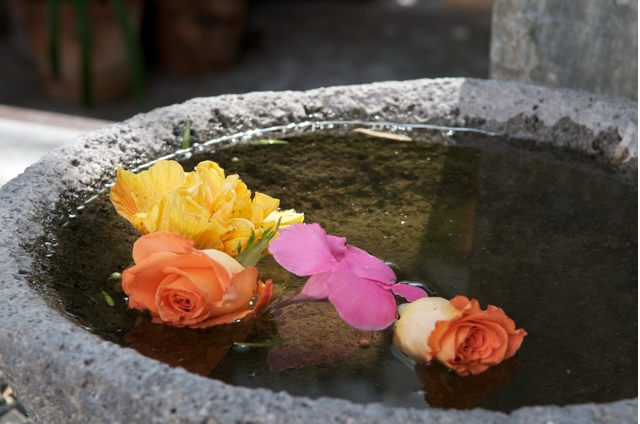 Located in the southeastern section of the Centro Historico, one block above Calle Barranca, Casa Gooden is close enough to walk into the Jardin in about 10 min, but just enough away from the noise and congestion of Centro to create a welcoming retreat for your relaxing stay in San Miguel. 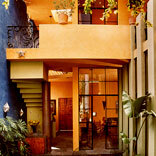 There is also a day rate available for $350 USD per day.